Urban Planning Research is an undergraduate course delivered to planning students at RMIT. The course is designed to develop an in-depth understanding of applied social research skills specific to the discipline of urban planning. Students who take the course develop the research skills needed to implement a range of common methods of data collection and analysis in urban and regional planning. The course has a strong emphasis on the practical challenges that students may encounter as planning professionals, and includes working with complex social issues and diverse groups in a research context. Students develop a critical awareness of the ways in which data are produced and used, and gain insights into the sorts of decisions and compromises that are made at each stage of the research process. They also begin to develop and plan their own research projects, relevant future studies, and professional work in urban and regional planning. As a core component of this course, students are introduced to quantitative spatial data analysis. They examine and explore some of the basic and essential types of spatial analysis in a geographic information system (GIS) based environment which they are likely to encounter throughout their professional lives. 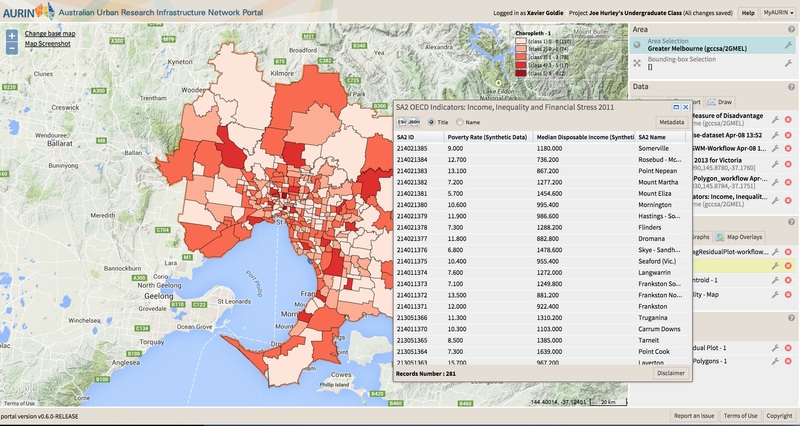 The AURIN Workbench provides a unique opportunity to introduce Urban Planning Research students to the fundamentals of GIS, and spatial data analysis and visualisation, as part of the course’s Demographics, Statistics and Spatial Analysis module. Using tutorials and workshops centered on the AURIN Map and the AURIN Portal, students cover a range of ideas and concepts. Critically engage with the concepts of correlation and causation, the modifiable area unit problem, and the ecological fallacy. On a more practical level, the students learn how to browse for spatial data in the AURIN Portal, as well as bring their own data into their sessions. 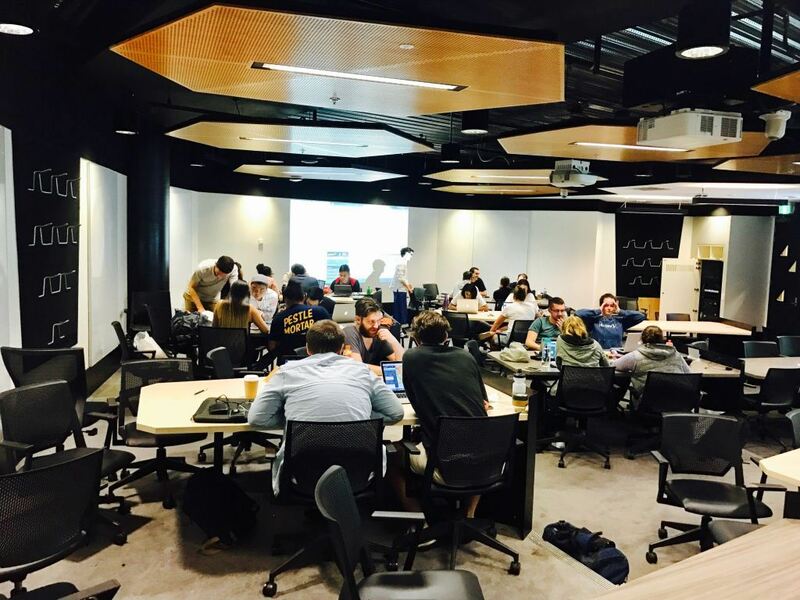 They further learn how to merge datasets, visualise spatial patterns, and explore the statistical relationships between variables from a broad variety of disciplines. As an assessment task for the module, students engage with the AURIN portal’s data, visualisation and analytic functionality to explore the potential relationship between a number of socio-economic, health, community, housing, transport and built form characteristics. By drawing on existing literature examining these intersectional relationships, students use AURIN to develop and test their own unique urban analytical hypotheses. A number of the students who take Urban Planning Research do not have formal training in either quantitative statistical analysis or in GIS. The AURIN Portal empowers these students to engage in urban data analysis in a way that is relevant to their planning course context. This allows for an invaluable teaching experience for a cohort of students who may be put off by GIS but can be engaged and enthused through AURIN.